At the end of the summer and shortly before the beginning of the fall semester I went on a little quest to find a dedicated project management environment for the SIF program. In previous years, we had been using Microsoft SharePoint, and while this tool is great to manage individual projects, it really falls flat when you want to get an overall view of the work happening across projects. For the SIF program this is especially important because our work is fluid and flexible and we frequently move SIF fellows between projects to ensure timely completion of a deliverable, and to give our fellows the opportunity to participate, learn about, and contribute to various projects over the course of the semester. In the end, I decided to go with Producteev as our dedicated project management tool even though it doesn’t check off all the points listed above. For one, our version of Producteev doesn’t offer Outlook integration (the subscription option does, though), and the tool also doesn’t allow admins to quickly see current member lists for each project. Yet, for our purposes Producteev excels at all the other points, especially with regards to the clean interface and the low learning curve. On top of that you can assign several levels of priority for each tasks so that members can quickly see which tasks are more important than others. It’s definitely worth checking out in case you’re looking for a dedicated project management software tool yourself. That being said, it’s crucial to spend some time in advance with your team to figure out what you want the tool to do before you go software-hunting on the Web. So, therefore I’m going to use the remainder of my post today to share with you my take on a couple of other, freely available tools that I’ve checked out rather than tossing my notes directly into the trash. Trello is probably best for those who are used to sticking post-its all around their work space. Basically, Trello allows you to manage numerous little notes. Those notes can be a task, a list of tasks, or a to-do list. That makes it ideal for personal use. Not only that, Trello is also good for collaborative brainstorming activities, and it’s fun to do that. 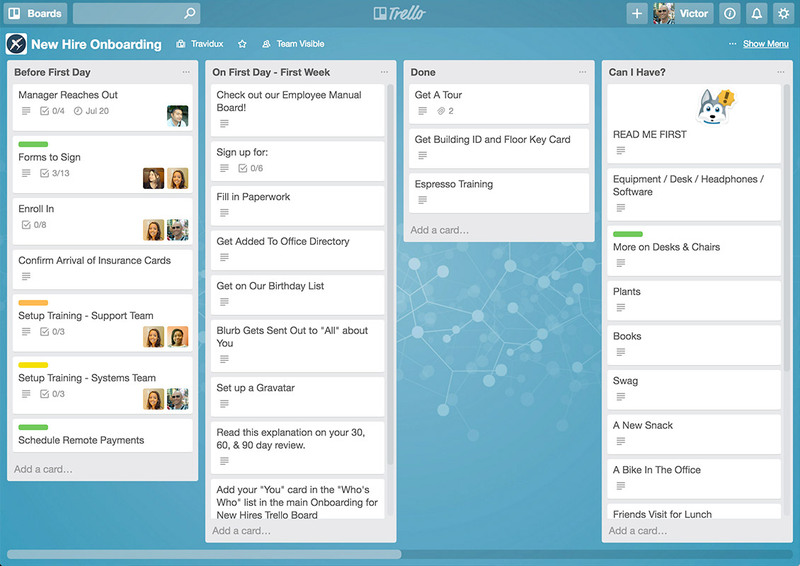 Everyone brings a litte idea to the table and Trello allows you to curate everything. So, keep that in mind if you’re a group of students working on a bigger project for a class and you want to keep track of everyone’s progress. Those little ideas can then turn into bigger projects. On a more general note, the way that Trello works is by using so-called “boards”, which can be customized. Each board consists of various tasks that can be assigned to project members. To further customize a board you can use lists, which provides an overview and can help keeping track of individual phases of a bigger project. 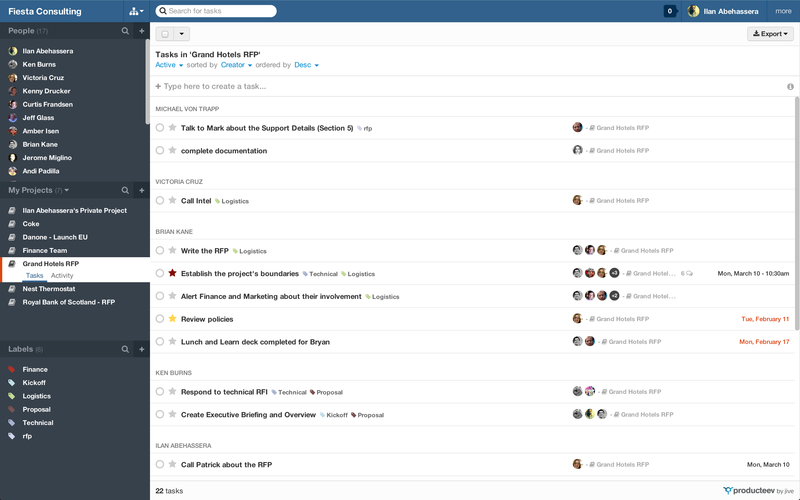 So, I think Trello works really well for personal use, but it also excels for temporary groups. 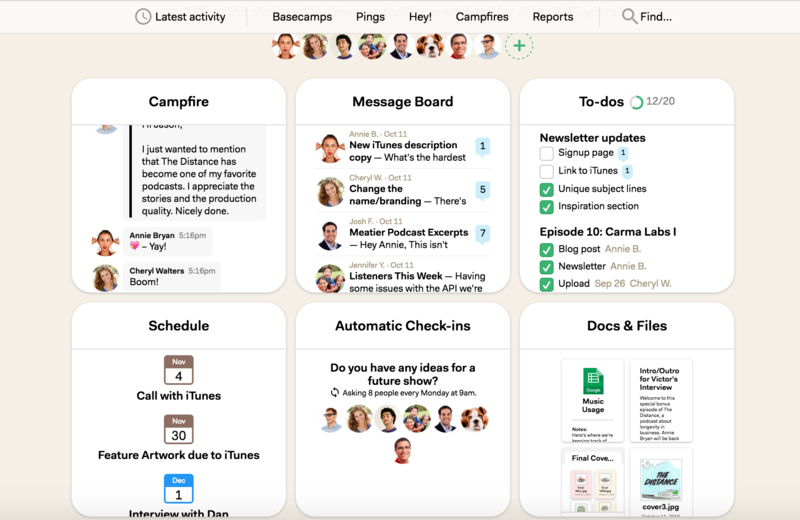 Basecamp is a tool that really focuses on communication between participants. As far as project management is concerned, Basecamp resorts to the basics: collaboration, file-sharing, to-do lists, calendars, and so-called “milestones,” which is basically as system of labelling relevant, major events over the course of a project’s lifespan. The “milestones” really sounded nice at first, but the tool doesn’t provide more flexibility when it comes to distinguishing crucial due dates from not so crucial, but still important due dates. On top of that, what I really found tricky when figuring out Basecamp was how to keep track of the work of individual members. Since the tool really focuses on communication, the information is arranged similar to a comment section on a social-networking platform like Facebook. It’s difficult to isolate an individual’s contributions to a project since you need to scroll through a lot of communication activity. I’m sure that Basecamp works nicely for student groups that collaborate on a project but when you need a tool that can handle various projects and you need to see information regarding progress quickly, then the interface might be a deal-breaker. I hope that information helps! Let me know if you have any questions. I think it’s a great idea to familiarize yourself with various project management tools since many companies rely on those. If you’re a student and you’re working on a project, either personal or group-based, then definitely check out one of these tools. You’re basically killing two birds with one stone. For one, you get your work done together and you can keep track of everybody who is part of your project, but you also get a feel for using these kinds of tools, which should come in handy in your professional life after graduation.